Rarely seen on most 205’s, this item was fitted from new by Peugeot with the intention of shielding the rubber gaiter on the lower arm balljoint from the heat of the brake disc which runs very close by. Because of its location on the car, in the firing line of road muck and debris, the standard mild steel item corrodes badly. In addition it seems to be a part often discarded by mechanics working on the lower arm at some time in the cars life. 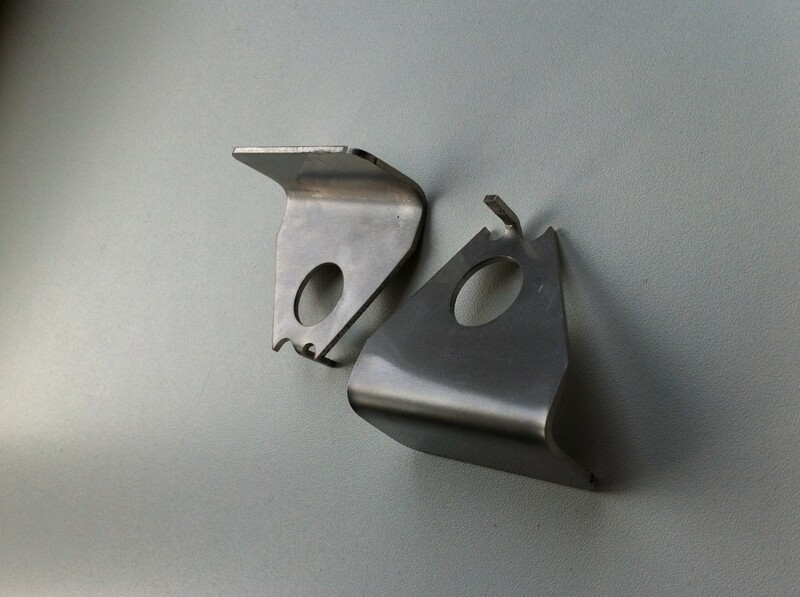 Supplied as a pair these are a direct fit to your car, made in 1.5mm stainless steel. These cost just £12 posted in the UK.